Request a catalog today, sign up for my newsletter, check out my LIVE classes under Events. where you'll find inspiration and ONLINE classes. when you JOIN MY TEAM of ProCraftinators! and help you make something that means something! and teach you about new (or new to you) tools and techniques. 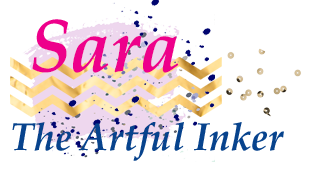 Check out The Artful Inker for daily inspiration, sketch challenges, and new opportunities.